Short or Long Term rentals allowed (Minimum 1 month). Incredible opportunity to live in a stunning open concept home with 20 foot ceilings and high end finishing. *Can be rented furnished or unfurnished, current price is for furnished. Home boasts a quiet rural setting 5 minutes to Uvic and Uptown in the beautiful Blenkinsop Valley backing onto the Lochside trail system with year round access. Currently fully furnished but possible to have unfurnished or partially furnished. 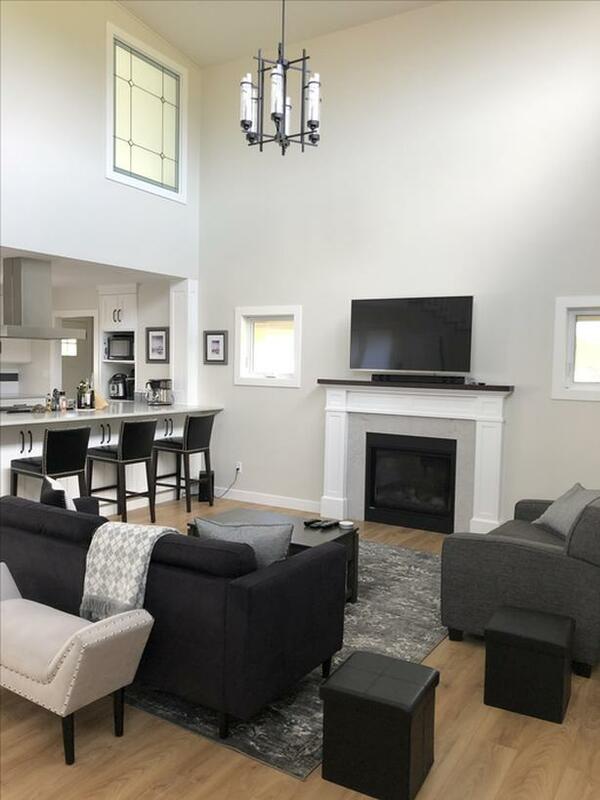 *2 story Living room with gas fireplace and TV. *All 3 gorgeous bathrooms have stone counters, 2 of them are ensuites.